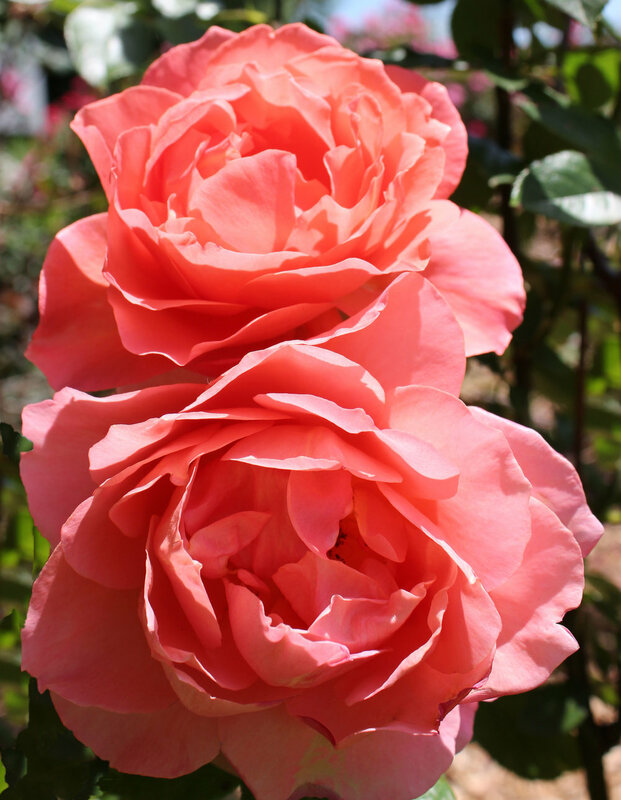 Easy Does It™ (‘HARpageant’)- Warm peachy-pink to orange double blooms are produced generously on this compact growing floribunda rose. The blooms have unique ruffled to scalloped petal edges that give them added texture and charm. Introduced by Weeks Roses.